Russia may be planning a luxury hotel some 250 miles above Earth but NASA is reportedly considering a destination much further away for one of its future missions. 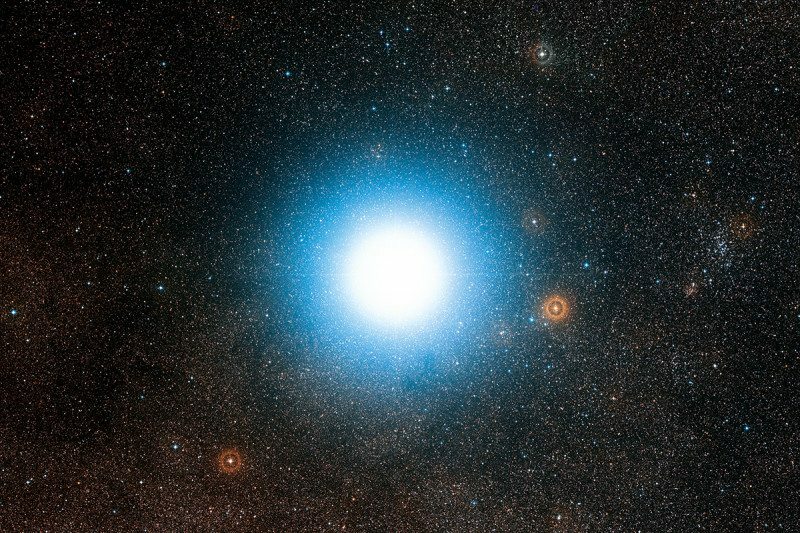 A group at NASA’s Jet Propulsion Laboratory in Pasadena, California, is said to be laying the groundwork for a mission that would send a probe to Alpha Centauri, the closest star system to our own solar system. The word “closest” is used loosely here as Alpha Centauri is roughly 4.37 light-years from the Sun. A light-year is the distance that light travels in a vacuum in one year which equates to roughly 5.9 trillion miles. NASA's Voyager 1 is the only man-made object to ever leave our solar system. It blasted off from Earth on September 5, 1977, as part of a project to study the outer solar system and is currently around 13 billion miles from the Sun. It still communicates with the Deep Space Network but is expected to go dark by 2025 when it runs out of power. We’re still decades away from being able to send humans to Mars so you’re probably wondering how NASA intends to send a craft to another star system so far away. The truth is, we don’t really know yet as most of the technology needed to make it happen doesn’t exist yet. The project – so new that it doesn’t have a name – was presented at the 2017 American Geophysical Union conference in New Orleans on December 12. The mission would launch on or around the 100th anniversary of Apollo 11, the first crewed Moon landing. That’d take place in 2069, giving NASA more than 50 years to figure it all out. Even if propulsion technology advances to a stage where it could reach 10 percent of the speed of light, it would still take the probe around 44 years to reach its destination – a potentially habitable exoplanet called Proxima Centauri b, or Proxima b for short. Tack on another few years for data from the probe to make its way back to Earth and you’re looking at the year 2118 or so. Needless to say, none of us alive today will be around to soak in the findings. Bummer. Then again, technology has been advancing at an incredible rate as of late. Just look at what we have today versus what was possible when Apollo 11 launched in 1969. Who knows, we may even get some help with propulsion technology from outside sources.